15 million children are working and not in school! 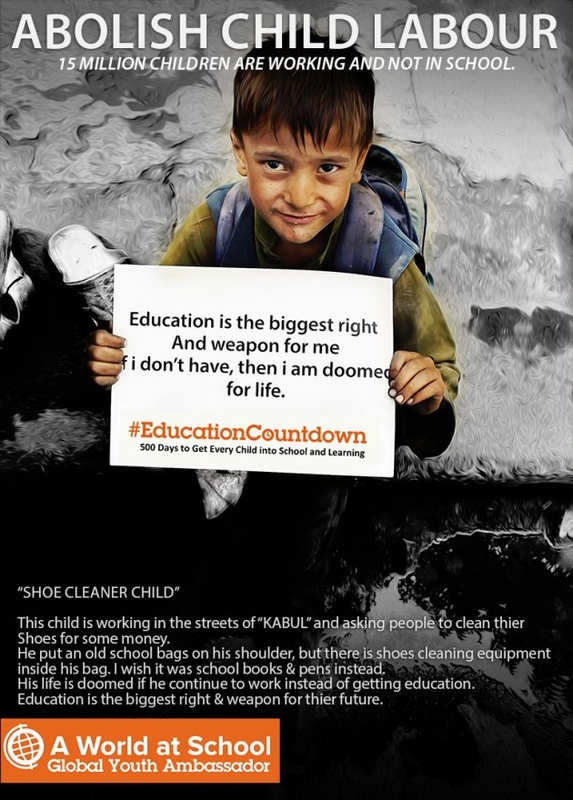 This child is working in the streets of “KABUL” and asking people to clean their Shoes for some money. He put an old school bags on his shoulder, but there is shoes cleaning equipment inside his bag. I wish it was school books & pens instead. his future is doomed if he continue to work instead of getting education. Education is the biggest right & weapon for their future. Let's make noise for education & children right's. Our target is to get every child into school and learning by 2015. Before the end of 2015, a united demand for action and results for children will be heard, providing opportunity for 58 million children currently out of school. Together we will demand an end to exclusion from education.